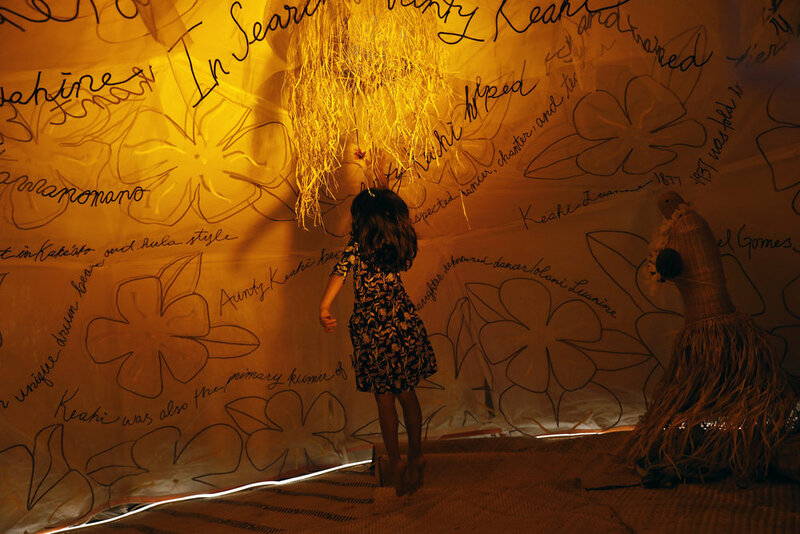 The interior of the Hula Girl Dress Tent may look at first glance like the interior of a camping tent, but it is staged with lauhala mats on the ground, while text and sewn flower fabric leis adorn the walls. Floating text hangs from the domed ceiling. The story that is explored here is a piece of real hula history of Dinah Gomes Sylvester Pao (Artist Adrienne Keahi Pao's) who spent many years training in hula and being partially raised by Aunty Keahi Luahine in Kaka’ako. Emanating from the interior is the sound of Keahi Luahine chanting ‘Eia o Kalani Kamanomano. 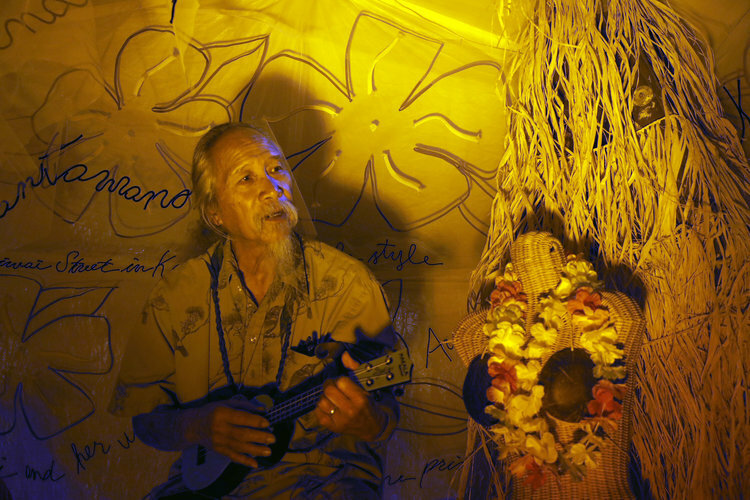 The tent interior brings in the element of storytelling that is ever-present in hula.